This is probably my favourite Grand Cayman Beach Wedding photo. It was taken by my cousin, Patrick Groleau who is a wedding photographer in Maine. 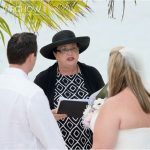 I have thousands of pictures of beach weddings in Grand Cayman, you have seen hundreds of them on this blog. It occurred to me that when couples are looking for a spot for their Destination Wedding in Grand Cayman, they are not going to go through my 300 + blog posts. 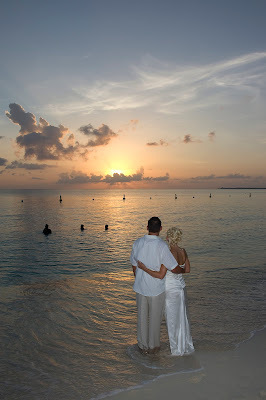 So I have created a page called Grand Cayman Beach Weddings on Facebook. Everytime I have a bit of time I dig into my archives and post one of the beautiful locations for a real wedding I have done in the past two or three years. What I didn't except is that many of my couples have taken the opportunity to send me messages and to just say "hi". 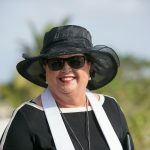 I hope that you will like my Grand Cayman Beach Wedding page and enjoy the memories I share when I think about all the brides and grooms that have made us at Simply Weddings - Grand Cayman part of their special day. 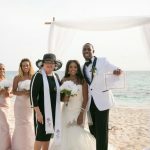 If you are just getting started thinking about a Destination Cruise Wedding, or a stayover, or resident wedding you can ask a question, send me a message, join the discussion, or just get involved with our Grand Cayman Beach Wedding community. 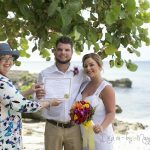 Please visit our Facebook page and learn more about getting married in the Cayman Islands, and my company, Simply Weddings- Grand Cayman.